(CNN) The rat race, metaphorically speaking, is nothing to aspire to. It represents a craven desire for money and power through one’s career. Even if you win the rat race, as a favorite teacher of mine liked to say, you’re still a rat. 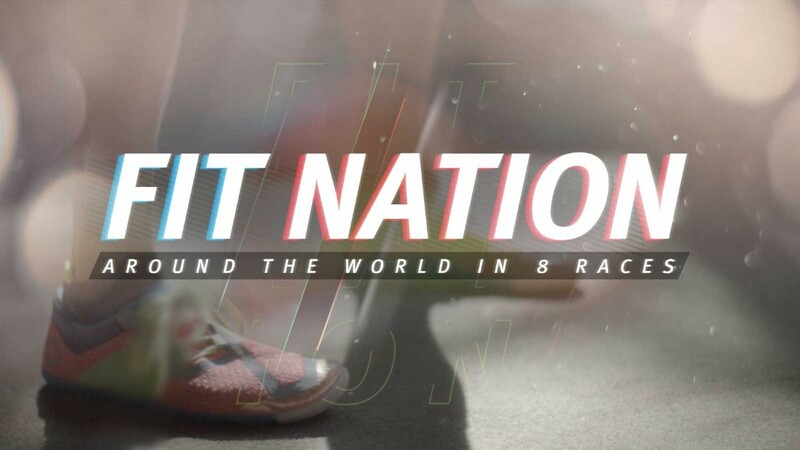 Fit Nation: Around the World in 8 Races will air three times on Saturday, July 21, between 1 and 6 p.m. ET and one time between 5 and 6 p.m. ET on Sunday, July 22. 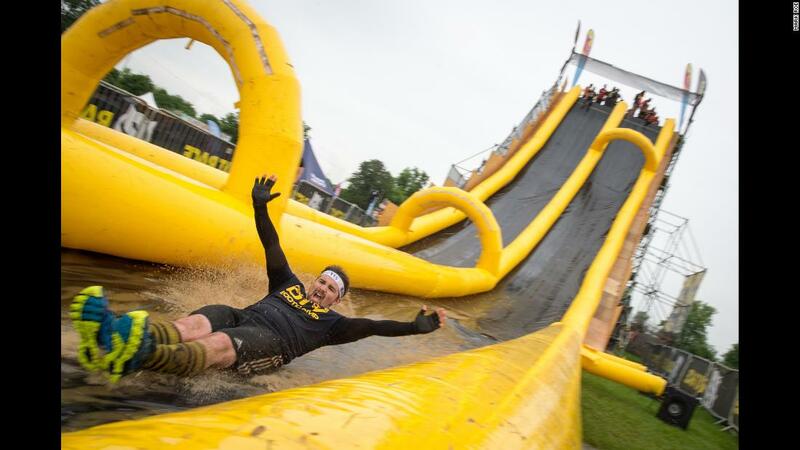 The Rat Race Dirty Weekend — which attracts thousands of competitors every year to the expansive grounds of a noble estate two hours north of London — shares a few qualities with the career metaphor. Ambition, pushing oneself and overcoming obstacles that stand in the way of your goal are common to both. 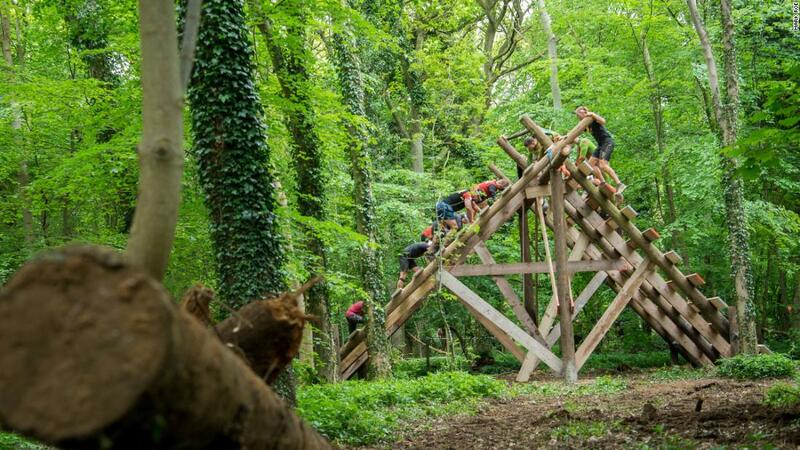 With more than 230 obstacles spread over a single 20-mile loop, the Rat Race Dirty Weekend purports to be the largest obstacle course race (or OCR) in the world. Maybe it is — it’s impossible to prove and easy to outdo, depending how loose your definition of “obstacle” — but that’s not the point. The point, it seems, is to be the most fun OCR in the world. And from the smiles, good humor and bonhomie among the more than 5,000 rats who turned up this year, I’m going to declare mission accomplished. For the event’s founder, Jim Mee, the balance is allowing adults to act like kids, while also making the course very challenging. Rat Race, a company that organizes Dirty Weekend and a host of other adventure courses throughout the world, is Mee’s brainchild. He isn’t just the founder and director, but he designs all of the races, as well. 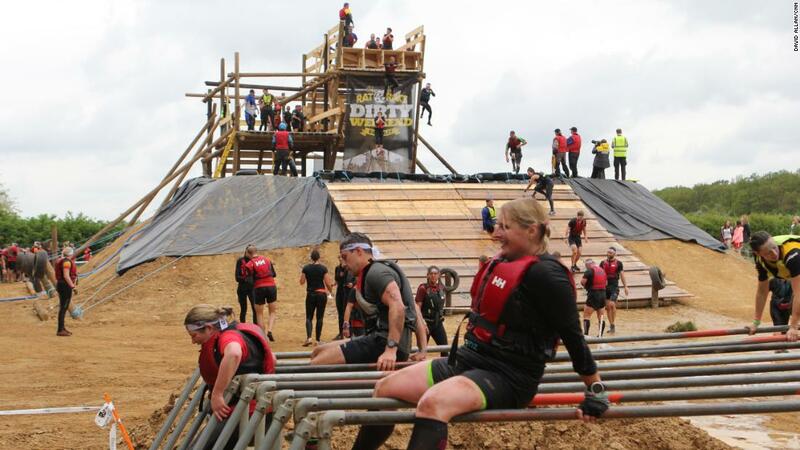 Mee had participated in various OCR courses, including the Tough Guy, a public, non-professional course in Wolverhampton, England, created by a former British soldier in 1987 and considered to be the first of its breed. Mee saw an opportunity to do these races bigger, safer, better organized and more enjoyable. More well-known OCRs — Mee describes them as “suffer-fests” — tend to be more testosterone-fueled than family-friendly. 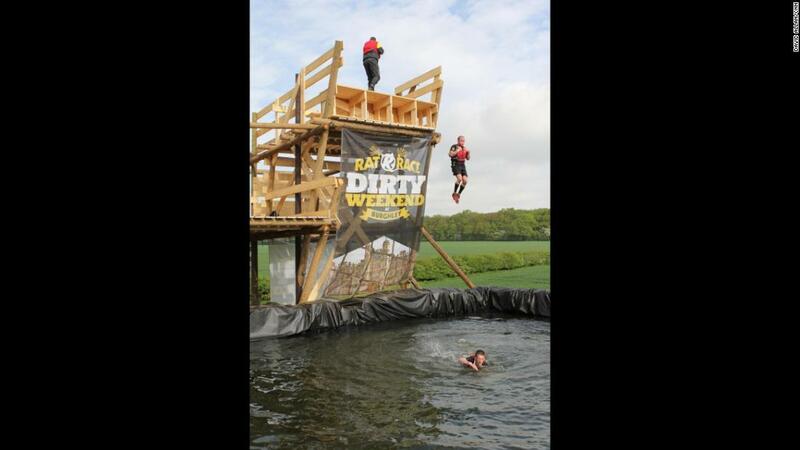 The Rat Race series began in 2004, but the first Dirty Weekend event at Burghley House was in 2013. 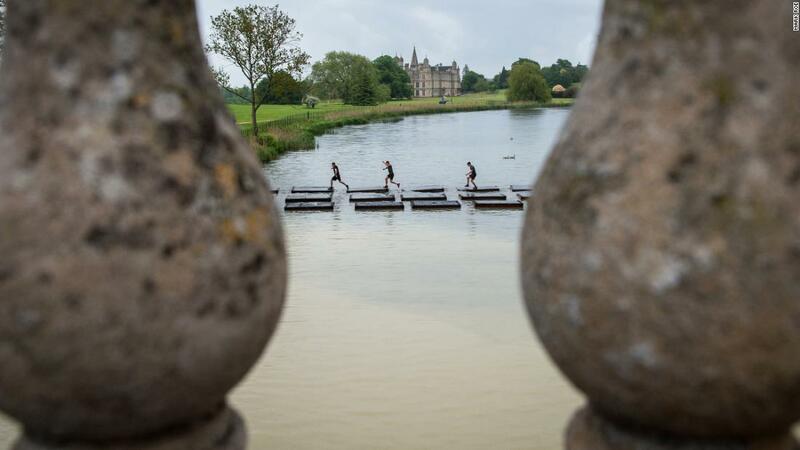 The family that owns Burghley House — reminiscent of “Downton Abbey” with its Elizabethan architecture and expansive grounds — wanted to partner with Rat Race and use the grounds for more than just horse events. 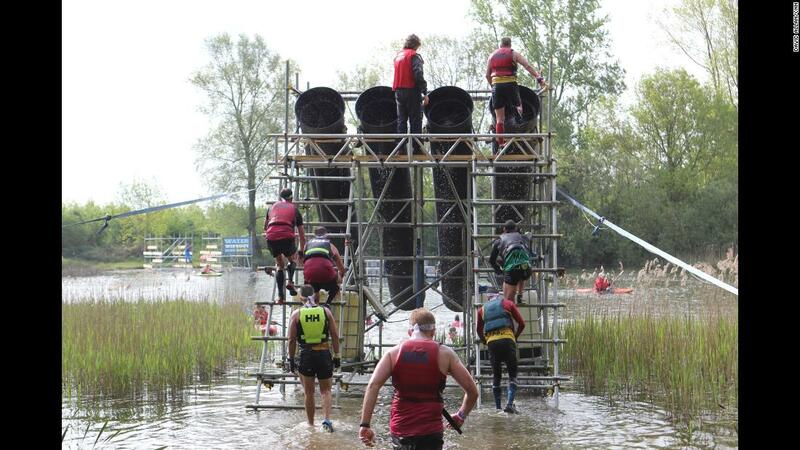 Some of the obstacles are so elaborate and large that they live at Burghley House year-round. 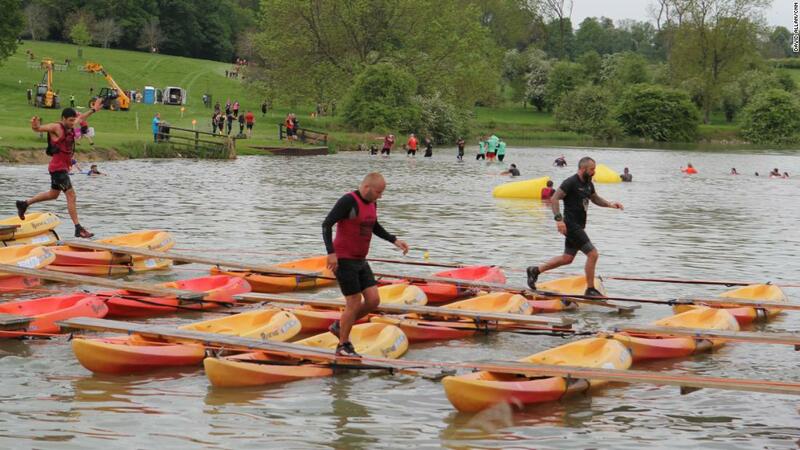 This year, more than 3,500 competitors and their families camped on the grounds of Burghley House. There’s a concert after the race, a beer and food hall, and hot tubs you can soak in after the race for a modest fee. The whole experience draws teams of friends and families from all over the UK, Europe and beyond; runners came from 47 countries this year. 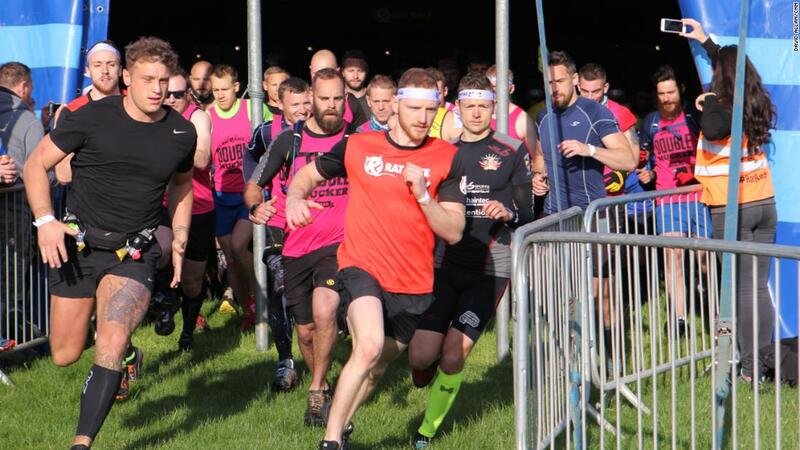 Not content to just be the world’s longest OCR, the Dirty Weekend also featured a potential Guinness World Record-breaking length of monkey bars this year. Richard Heady and Thomas Wolfe await official recognition for each monkeying 56.6 meters of bars. There were some growing pains on race day. Some route confusion met runners approaching one wooded area. 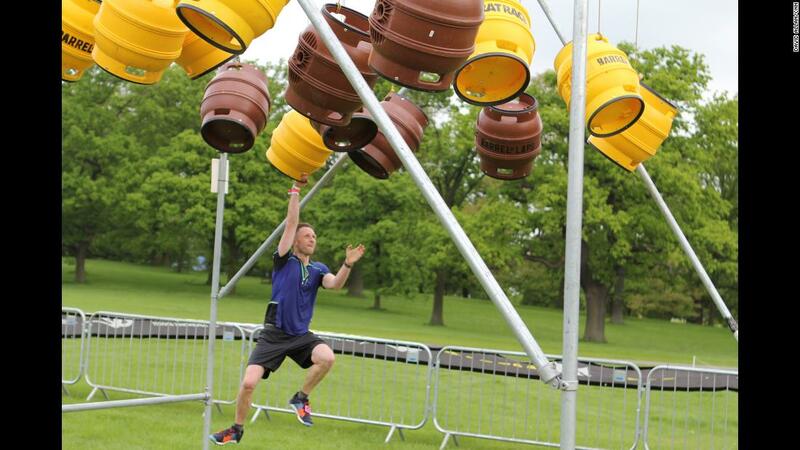 A bouncy obstacle couldn’t be inflated in time. But with 230 others, what’s one or two fewer? Every year organizers make changes, adding different and more challenges. Technically, the winners this year were Jason Burgess, who completed the course in just over three hours, and Nicola Johnson at just over 3½ hours, and they each won a modest prize amount of 500 pounds. But the real winners were everyone who turned out for the most fun that a stately English estate can provide in a single day. Everyone — kids and adults — was in a great mood afterward, enthusiastically recounting harrowing moments. A concert that night was headlined by Dave Pearce and the Ministry of Sound. Festivities ended at midnight, but the happy memories and sense of accomplishment last much longer. 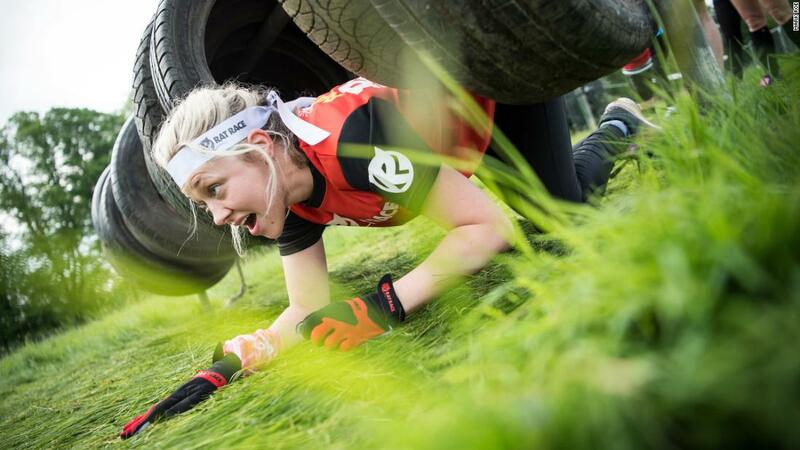 “You can’t really train for it; that’s kinda why I like it,” said Dominique Searle, a UK police officer who came in third among women last year, her first time, despite a goal just to finish. 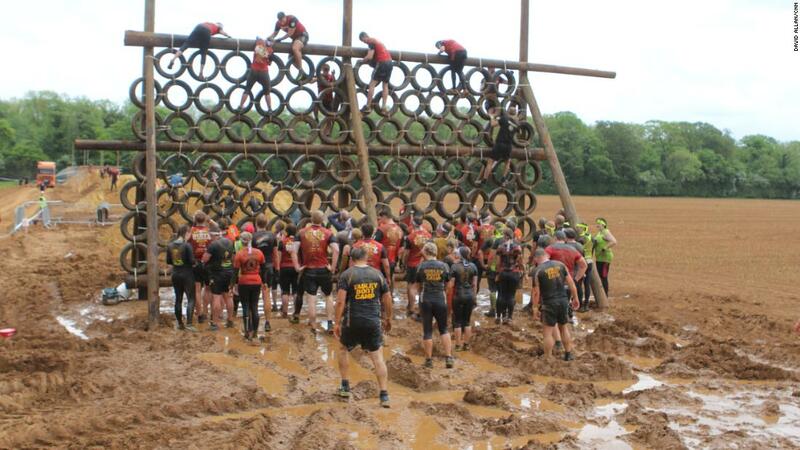 One of the largest of the Rat Race obstacles, the “Ewok Village” rope structure, greets racers with a giant banner written in Star Wars font: “May the Force be with you.” And it does seem that in addition to physical fitness, there is another force at play. For some, the psychological obstacle isn’t endurance or managing pain but rather fear, particularly the common phobias associated with height, water and confined spaces. One obstacle combines two of those as you plunge two stories down into a pool of water from which you swim out. Searle said the Rat Race Dirty Weekend helped her combat the PTSD she felt after being hit on her bike by an off-road vehicle. “These races have totally brought me back out of myself and having fun with [my] kids again, rather than being scared and not wanting to go out,” she said. There is not a lot of gear required for OCR. “A pair of trainers, my mates, grit, determination, and that’s all I need,” Mee said. 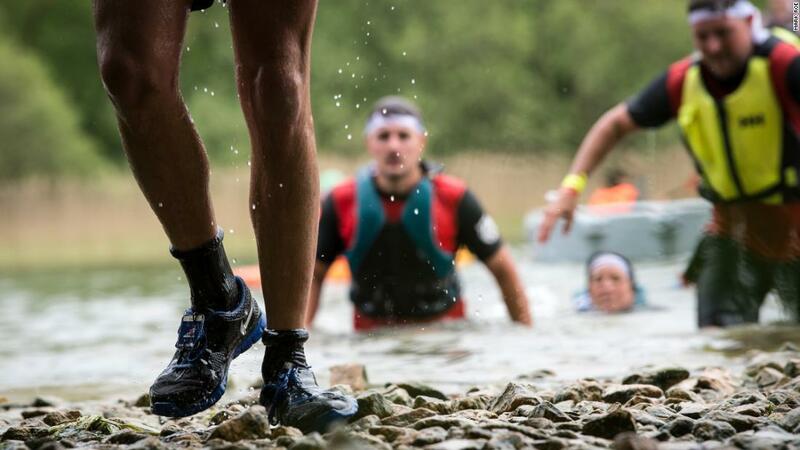 Reebok and New Balance are among the manufacturers jumping on the trend to make “OCR shoes,” distinguished by added tread (good for climbing) and good drainage (for water obstacles). 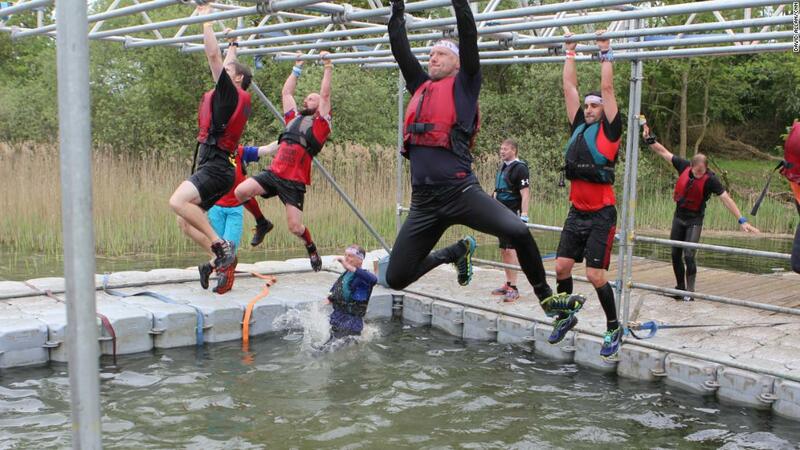 Some OCR competitors wear gloves to help with grip, especially when they are soaking wet. One of the toughest aspects that Dirty Weekend runners cited was the cold. The race has various parts in which you must get partially or fully wet. Having quick-drying running clothes is key to letting your body reheat. Avoid wool socks or clothes, because they chafe when they get wet. 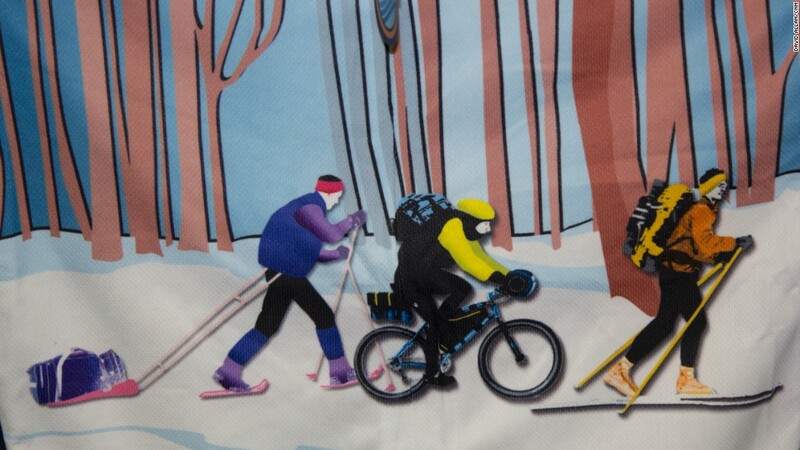 As with many outdoor sports, OCR requires managing clothing to avoid getting too cold or too hot. 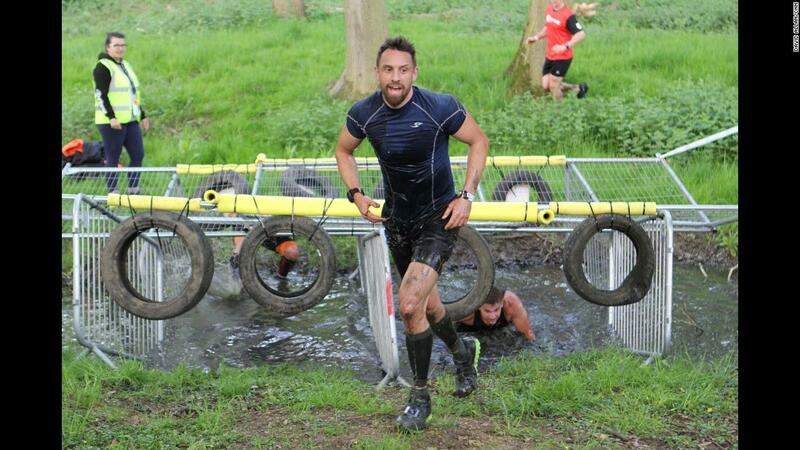 Whether it’s sweat or muddy pond water, wetness cools your body even when you don’t want it to. 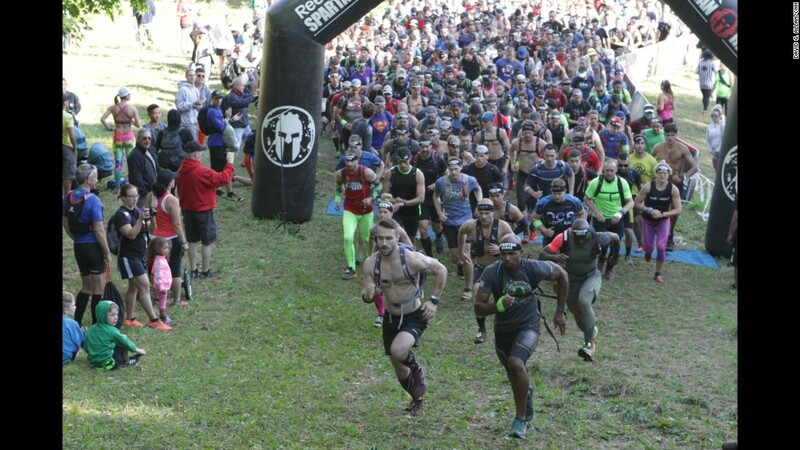 There aren’t any public data on injuries from OCR events, but trails, jumps, inclines and the obstacles themselves create opportunities for twisted ankles, shoulder strain and pulled muscles. 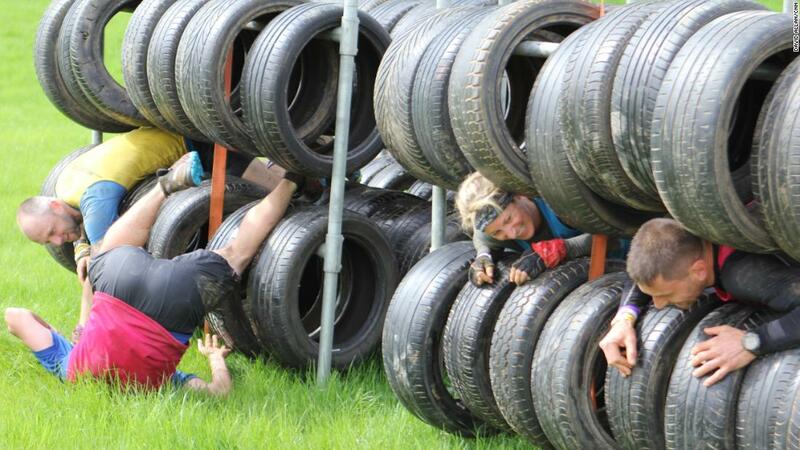 Twisted ankles from uneven terrain and obstacle climbing are the most common injury at Dirty Weekend, Mee estimates, along with reinjury of pre-existing shoulder issues, such as a dislocated one. There is a doctor on-site during the race, and they’ve posted a safety video on YouTube. 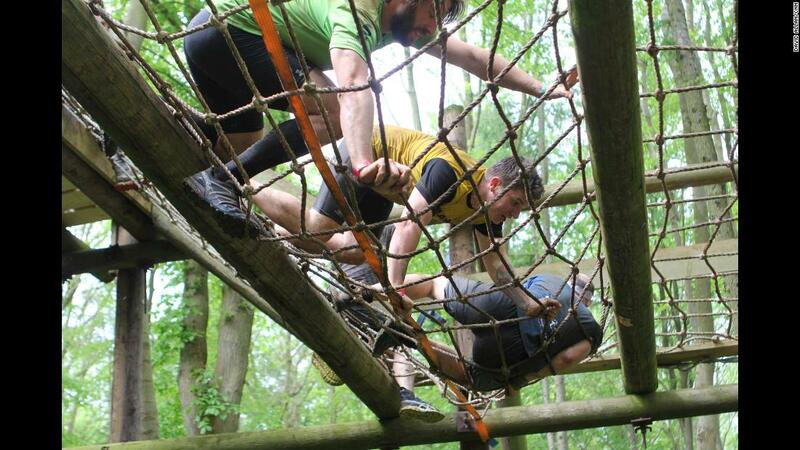 In general, OCR athletes should compete defensively, staying alert to potential hazards. That’s what a smart rat would do. That’s how they get the big cheese.